The U.S. Department of Agriculture has declared August 23rd-29th to be "National Community Gardening Week"! "Community gardens provide numerous benefits including opportunities for local food production, resource conservation, and neighborhood beautification," said Agriculture Secretary Tom Vilsack. "But they also promote family and community interaction and enhance opportunities to eat healthy, nutritious foods. Each of these benefits is something we can and should strive for." 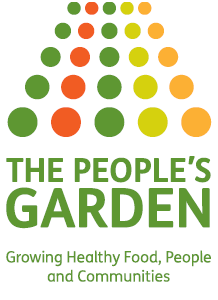 Extension-sponsored community gardens in northeast Wisconsin: exploring "cultural differences in use"
"People's Garden" - USDA headquarters, Washington, D.C. I'm going to bookmark this page for later review. I live in an apartment but I'm hoping to get together with my neighbors and create a community garden group. Community gardens are on the increase in the UK and are very successful. They provide healthy food for city dwellers and give them the opportunity to grow their own food from scratch. It has also been used to rehabilitate young offenders and give them practical interests. I am all for community gardens and making the best of the space that you have, it is a great idea.